I find it hard to get too worked up about travel pieces penned by writers obviously in the pocket of some resort hotel (Four Seasons as is the case here), but when that hotel happens to be somewhere as interesting as Mauritius, I’ll give them a little slack. 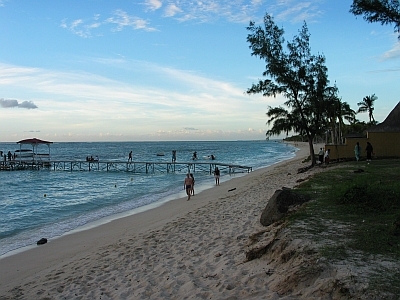 Though located off the coast of Africa, the 1.2 million people that make up the island of Mauritius have more in common with the French Caribbean (language, food, dance) and Indian (where much of the population is from) cultures than their British colonizers (except for driving on the left side of the road). Head to the Southeast part of the island to see Vieux Grand Port, the site of the original structures built by the first Dutch settlers on the island back in 1638 (was there any European country that didn’t attempt to colonize this island? ).